Last night I decided to watch my first debate of the Republican presidential nominees. I have to say, one guy stood out to me and is definitely getting my vote. 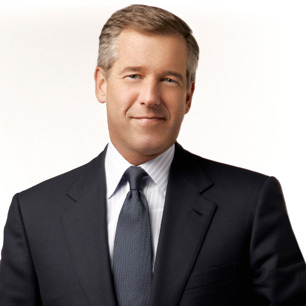 Even with his recent Gawker/Lana Del Rey scandal and his excessively orange skin, Brian Williams is certainly my favorite GOP candidate. What? He isn’t official running for the nomination? Hmm, could have fooled me – reports indicate that Williams spoke 2,137 words during the debate, only 819 fewer than Ron Paul (and I KNOW that guy is in the running). B. WILLIAMS FOR PRESIDENT. SPRAY TANS FOR ALL!